Phoenix, AZ – June 14, 2017 – ABI Multifamily, the Western US's leading multifamily brokerage and advisory services firm, is pleased to announce the $1,850,000 / $71,154 Per Unit sale of the Desert Cove Manor Apartments, a 26-unit apartment community located in Phoenix, Arizona. The property is a two-story apartment community, built of frame/stucco construction in 1983 and rests on 1.15 acres. The property features all (26) 2-bed/1-bath units with an average size of 756 square feet. Each unit is individually metered for electricity and property features a pool and laundry facilities. "The Seller has owned the property since the early 1990s," states Nathan Bruer who along with Ryan Smith, Vice Presidents at ABI, represented the Seller. According to Ryan Smith, "The Buyer saw a great opportunity to purchase a non-rehabbed property with substantial upside in rents through renovations and in an area where there is significant demand." 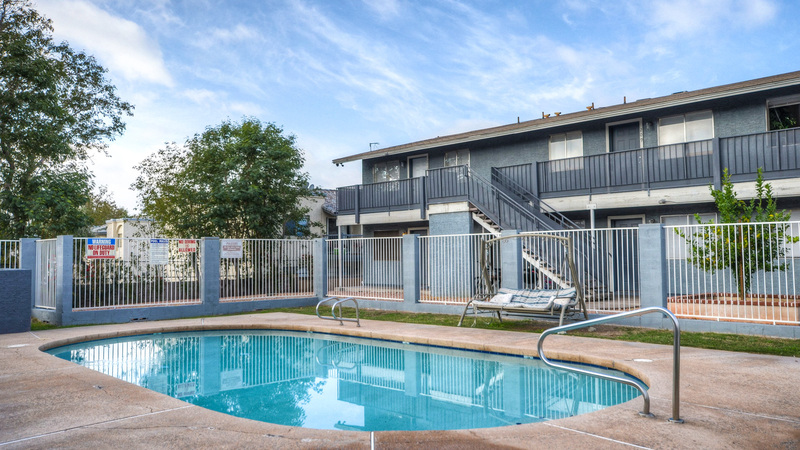 The Phoenix based ABI Multifamily brokerage team of Nathan Bruer, Ryan Smith, John Klocek, Patrick Burch and Royce Munroe represented the Seller in this transaction. ABI Multifamily is a brokerage and advisory services firm that focuses exclusively on apartment investment transactions. The experienced advisors at ABI Multifamily have completed billions of dollars in sales and thousands of individual multifamily transactions. ABI Multifamily incorporates a global approach with regional real estate expertise to successfully complete any multifamily transaction, regardless of size and complexity.